FILON have created a wide range of rooflights and roof sheets in over 900 profiles, to ensure that there is a roof sheet with the correct profile to match nearly all current and discontinued asbestos roof sheets. FILON are market leaders in the manufacturing of GRP roof sheets, with over 60 years of experience in manufacturing and supplying various GRP products to the construction industry. 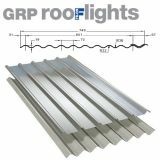 Here at Roofing Superstore we are proud to offer the standard Profile 3 range of GRP roof sheets and rooflights from FILON, all at our famously competitive prices. What are standard profile 3 roof sheets and rooflights? 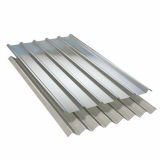 Profile 3 roof sheets and rooflights are roof sheets that have a 3 inch corrugation. The profile 3 roof sheets and rooflights from FILON are manufactured from GRP (glass reinforced polyester), which provides a number of benefits. The profile 3 rooflights contain unique additives which diffuse the light to reduce glare and hot spots, increasing the even spread of light into the building. Profile 3 roof sheets are grey instead of translucent, and include an extra woven layer of reinforced glass, which adds to the strength of the roof. What are the benefits of standard profile 3 roof sheets and rooflights? There are a number of benefits to using profile 3 roof sheets and rooflights from FILON as opposed to other roofing materials. Firstly, the GRP material used to manufacture the standard profile 3 roof sheets and rooflights is a plastic based material, with added glass fibres. These glass fibres increase the strength and impact resistance of the roof sheets without adding to the overall weight of the product. This means that the handling and transportation is easier than heavier roofing materials such as metal roofing sheets. Using GRP profile 3 rooflights saves both time and money, as it provides a natural source of daylight, eliminating the need for electrical wiring. This means GRP profile 3 rooflights are particularly useful in industrial and agricultural outbuildings. 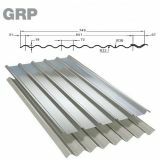 Profile 3 GRP roof sheets and rooflights have a highly durable UV resistant film that is applied to the external face of the sheet. This prevents yellowing and increases the lifespan of the roof sheet or rooflight, meaning it’s lifespan is around 30 years if exposed to normal conditions.  If you have any questions about profile 3 GRP roof sheets or rooflights from FILON, or want to know whether they are suitable for your project, don’t hesitate to call our team on 01752 692760, or use the live chat and they will be more than happy to help.